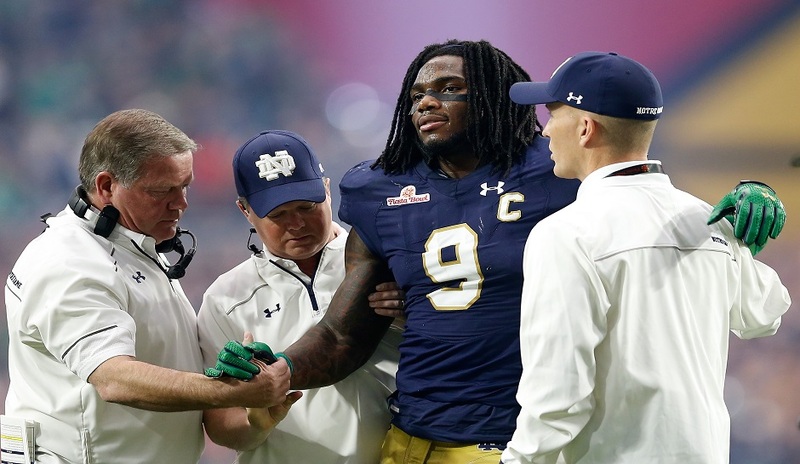 Jaylon Smith was pretty bummed out after missing his entire rookie season due to a rather horrific knee injury. That’s just the way the NFL cookie crumbles sometimes, all players, coaches and teams more than know that they have to take the rough with the smooth over the course of a season. But for Smith the wait has been quite long enough. After all that missing out, the Dallas Cowboys linebacker is finally on his way toward seeing some game action in 2017. When asked about his recovery and current mood by USA TODAY, Smith said “I feel like me. I look like me. I am me,”. He want on to add “I’m Jaylon Smith. Ready to play some ball.” in his one on one chat with USA TODAY’S Tom Pelissero. Times have been tough for Smith since the injury, who was once viewed as a top-five draft talent. He fell to Round 2 last year after major concerns over his battle with drop foot, causing a dropping of the forefoot, an issue that’s plagued him since 2016. Smith’s condition was the result of nerve damage suffered when Smith injured his knee in the 2016 Fiesta Bowl. However, the hope is that the former Notre Dame star will be back to full health, ready to play a role in the first team this September. It’s then hoped that Smith’s role would grow over time until he once again can become a pivotal figure for the Dallas Cowboys. There was at one stage a major concern that Smith might never play in the NFL again. But he’s currently defying the odds and making good visual progress to further the hopes that their second-round investment will someday become a Cowboys fixture. Smith’s return to the field would serve as nothing less than a major achievement and go a long way to prove the true value of the NFL Minicamp.